After Japan the whole ordeal of winter just sped up to break neck pace. I was in it deep, and just holding on for dear life. The best laid plans all got stacked on top of each other and became a whirlwind madness of travel, logistics, certifications, and powder chasing. 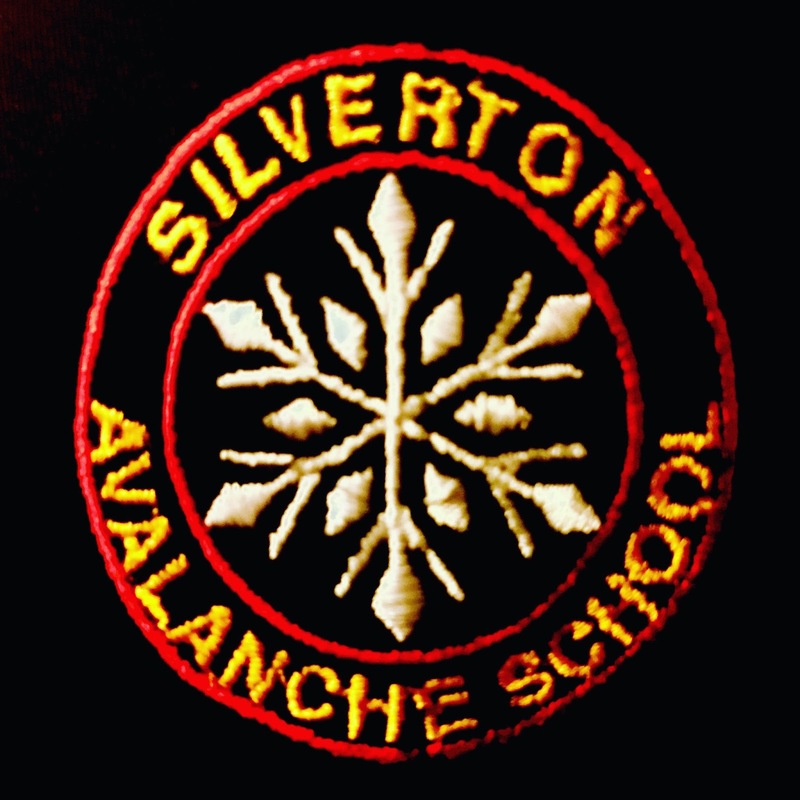 ^Immediately after I landed back on American soil I was rolling right into an American Avalanche Association Level 1 Pro Bridge Exam with the Silverton Avalanche School. I was not planning to have to do another avalanche course for a while, but the entire system recently changed so the time came to me. I had taken a Level 2 nearly a decade ago by now, and I had to go through some significant study in very little time to catch-up with some of the technical material. Thankfully I am pretty stout on all the field work, so I could concentrate on the parts I was weaker in. I pulled it together managing to do much better in the exam then I had anticipated. Now my certification is caught up within the new system again so I can keep moving forward in the long and drastic certification process of guiding. 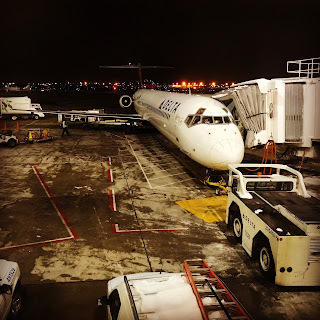 Barely fresh out of a snow pit, and I was into the driver's seat of my van to roll down to Breckenridge, Colorado. 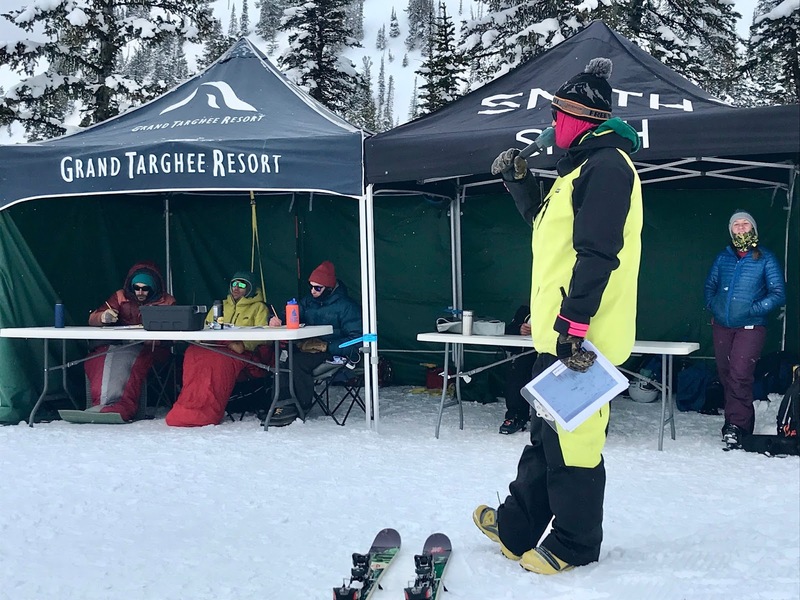 I was serving as an organizer for the Freeheel Life Colorado Junior Regional telemark freeskiing competition for the U.S. Telemark Ski Association (USTSA). ^Despite some heavy winds, we managed to pull off the competition, and the kids were stoked to have a regional event. No time to waste, I was back in my van on my way home because I had a plane ticket to the midwest of America just a couple days later. I didn't really even unpack, just shuffled some clothes before my wife was dropping me off at the Ogden train station to start another travel journey. 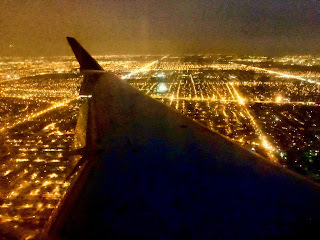 ^After some trains from Ogden to Salt Lake City Airport, I flew into Chicago and then rallied another train up north to Wisconsin to sleep it off. I had to hit the road the following morning northward to the U.P. of Michigan. 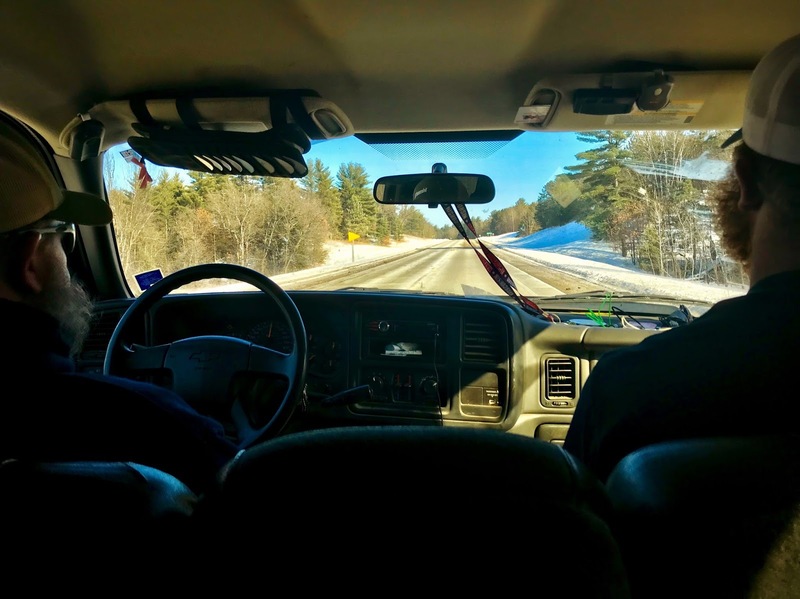 ^My cousins picked me up for the roll north. The snowpack along the road got deeper and deeper the further north we drove until we arrived at our first stop nearly about as north as it gets in the lower 48 states of the United States at Mount Bohemia on the Keeweenaw Peninsula. 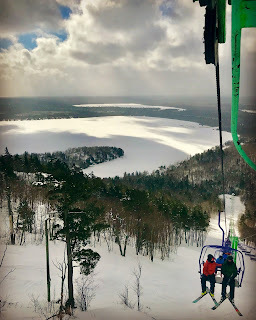 ^Lac LaBelle from Mount Bohemia. 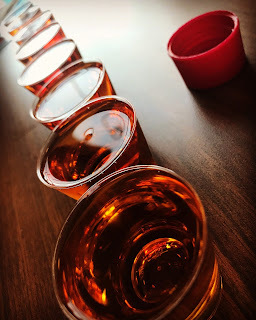 ^I got to meet up with one of my favorite photographers and my old friend by now, Joey Wallis, while at Mount Bohemia. The owner, Lonie, and the whole gang have always been so great to me every time I have ever come up to Mount Bohemia for projects, or just to ski with my family. 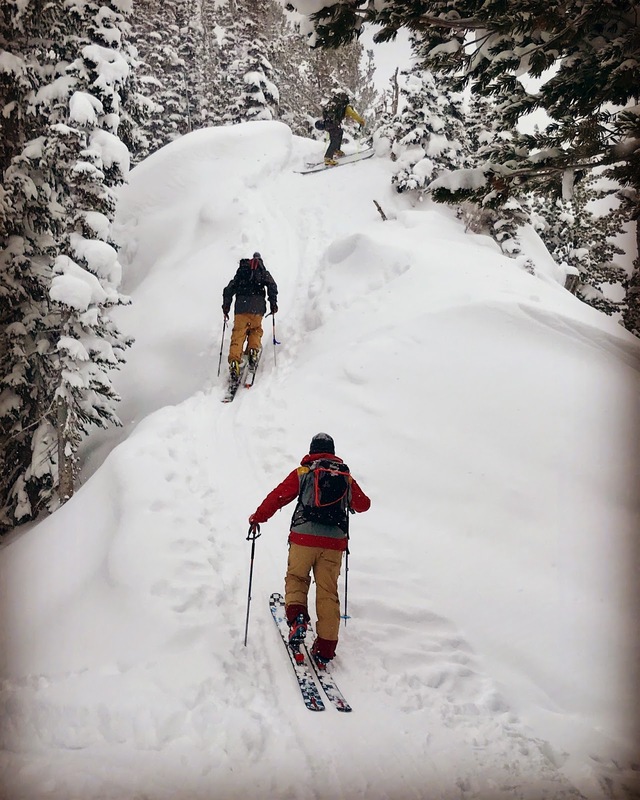 It is always good to see old friends and make some powder turns with them. Thankfully a fresh dense four inches graced our trip and we made the most of it. Next, we cruised out of Mount Bohemia to catch the opening of the Porkies just a couple hours south. 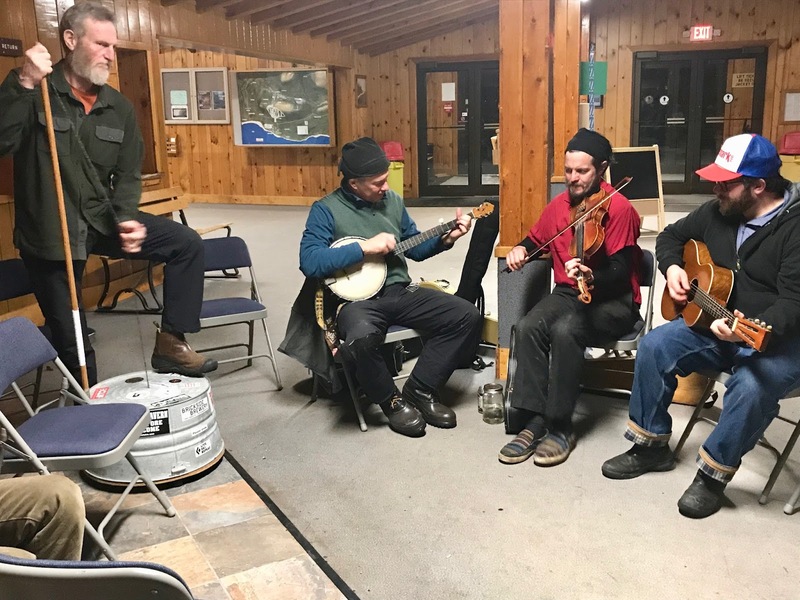 Midwest Telefest was also scheduled to begin Friday night with some music in Silver City, Michigan just outside the Porcupine Mountains State Park. ^... and fried cheese curds. Yes, fried cheese curds. 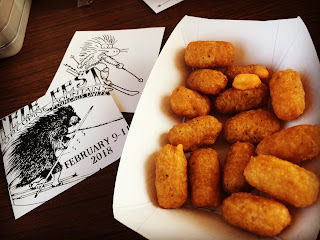 I love these things, and I ate soooo many cheese curds from the cafeteria in the base lodge at the Porkies. 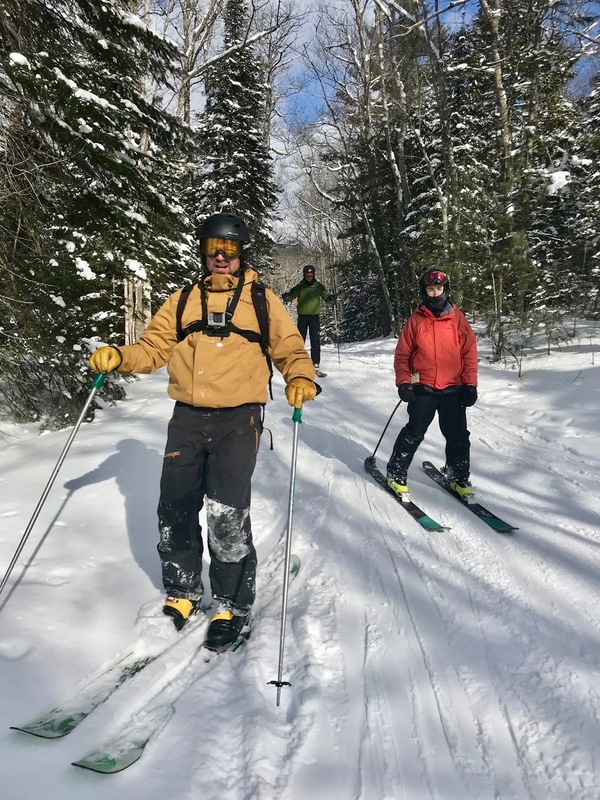 Midwest Telefest takes over the small ski area, and the folks at the Porkies are gracious hosts. 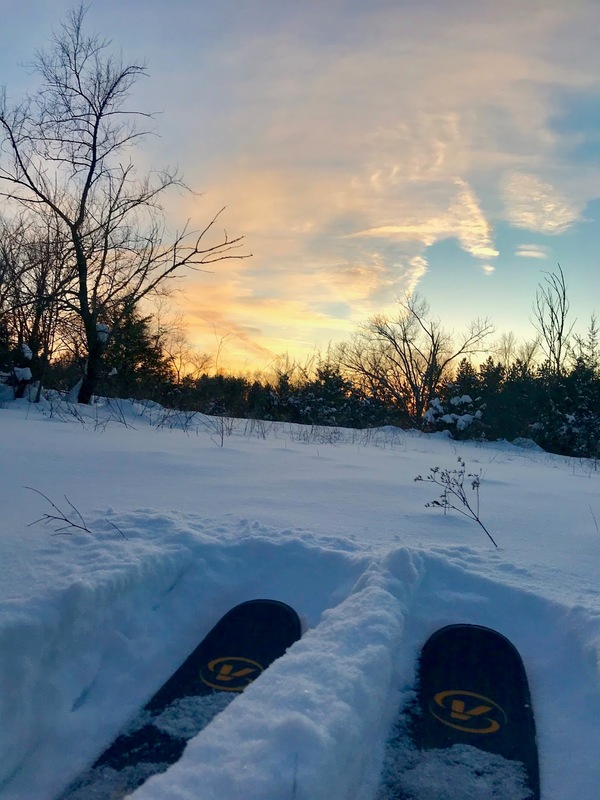 ^There is tree skiing, and then there is midwest tree skiing. It truly is a skill set all its own. 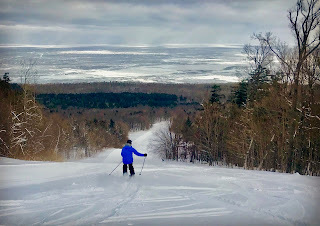 I refer to the skiing style as a "slarve" or a "snakey" style in reference to be able to see the lanes through the tight trees and never really making full turns, but rather "slarving" through the trees simply reacting as they come at you. You have to trust in your ability to shut down speed in small doses where you can and not necessarily where you'd like to. Subtle turns to manage speed and yet make the quick maneuvers to move through the forest. 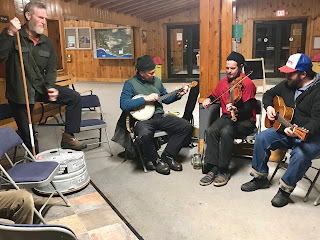 The music is all part of this party on snow. 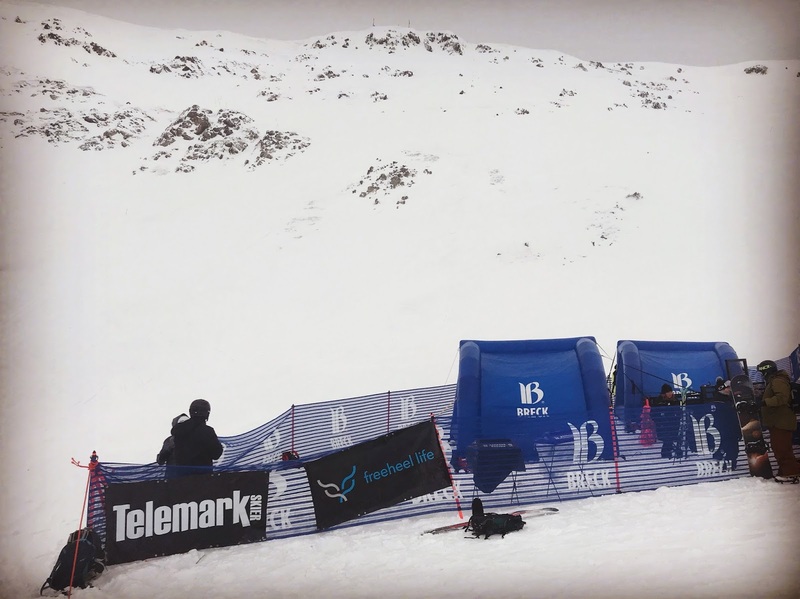 We come from all over the midwest to celebrate telemark and our friendships each year. The weekend includes camaraderie, and the fellowship of the turn. We eat together, we play music together, we dance, we drink, we celebrate. I try to make it to this festival each year, and I have a pretty good program to ski and tour the area by now. 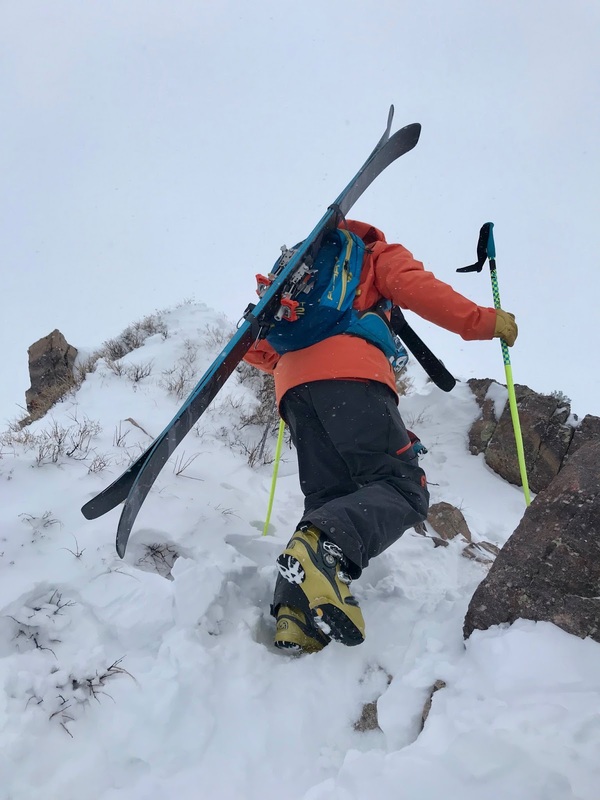 I get strange looks from my ski industry brethren when I talk about it, but each time someone experiences it they understand that it is a unique endeavor amongst the ski world that one simply has to see to believe. When it is good, it is really pretty damn good, and when the snow is frozen solid it is still some of the most memorable times I have had on skis. Every die-hard tree skier should migrate north to the U.P. of Michigan at some point. 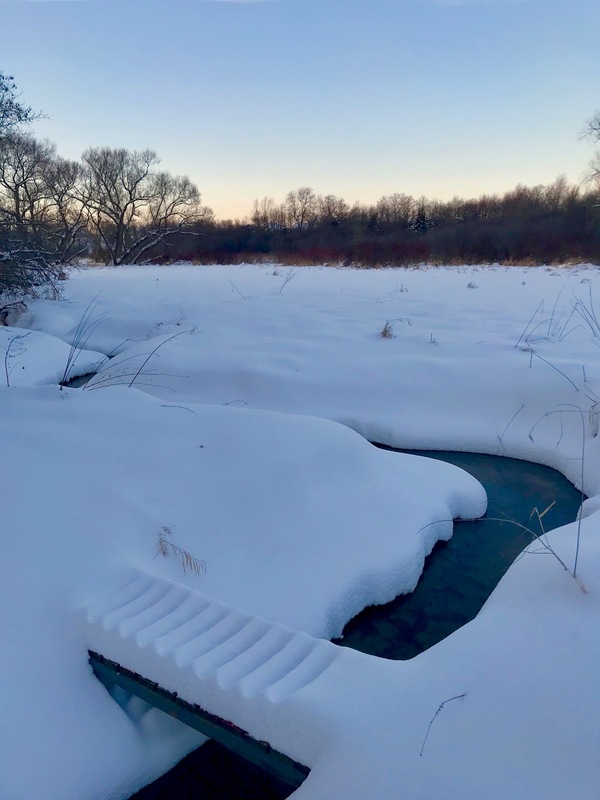 ^With some snow in the lower part of the state of Wisconsin where I own a chunk of woods, hills, and wetlands there was some decent snowpack so I took a chance to have a ski around the property to see how the land had been shaping up since I last saw it in the fall when I was lumberjacking on the property. ^It was looking good, and the local beavers were also back at it. I spent a good amount of time cleaning out this stretch of creek on my property this summer and fall. 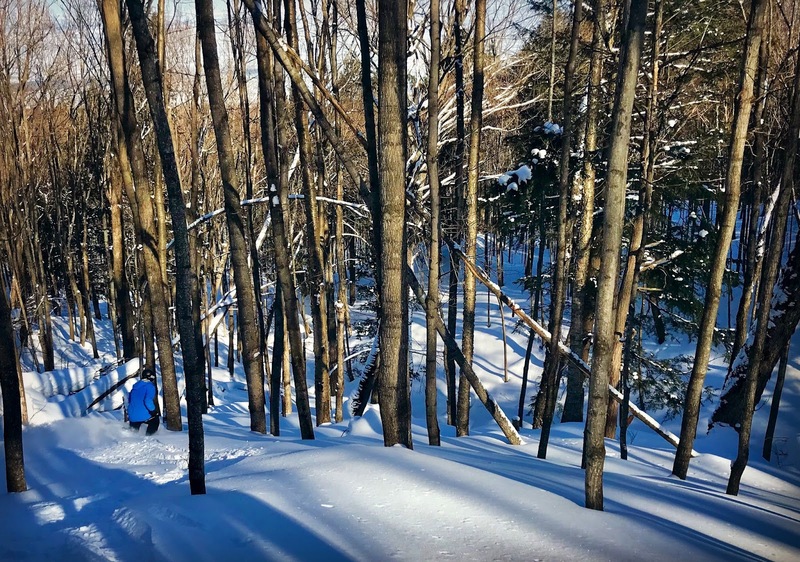 The local beaver clan has had unfettered freedom to build as they wish for many years, and I had my hands full to catch up with them. I like having the beavers out there, but I simply need to manage how much they fill up the wetlands on the property with their dams and where they choose to build them. We're getting acquainted with each other still. ^Yeah, I was obligated to make a couple turns as well. 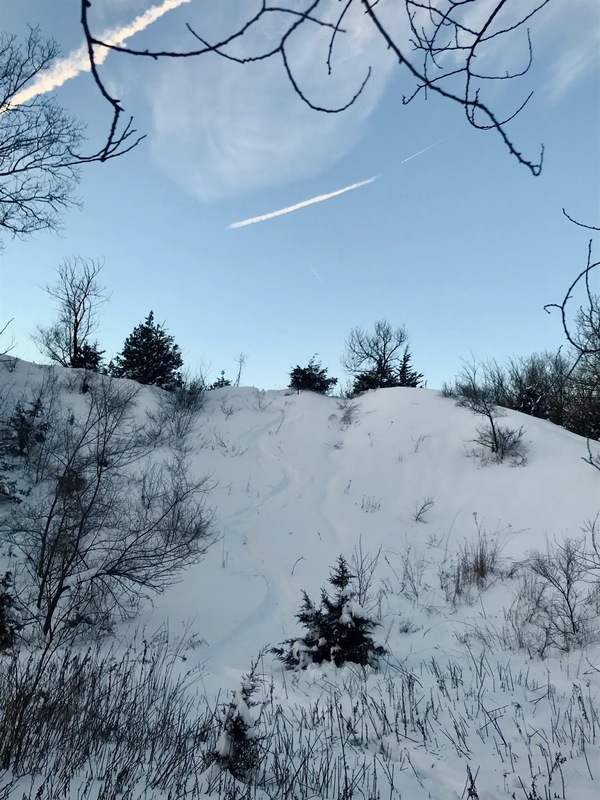 I bought this land with mountain bike trails in mind, and not so much the skiing, but it is possible. It is not all that probable, but possible indeed. 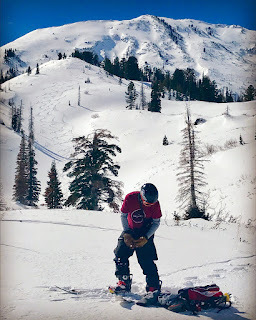 I had to do it though since I was there with my skis and I had a little bit of time to kill before packing back up for another travel slog of trains, planes, and automobiles. 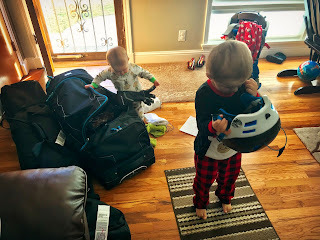 ^My boys enjoy helping me unpack, and although I finally had some time at home again there was no time to waste. I had to get out into the mountains to start scouting for a large group of athletes from the Freeheel Life (FHL) team that I had coming to town right away upon my return. 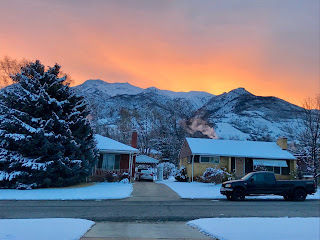 ^The backyard Wasatch range was finally beginning to shape up with some new storms literally just as the fellas from FHL arrived. I was relieved it had because the thin snowpack had been a huge issue leading up to the trip. Even with new snow the avalanche problems were still set up to be major concerns for the group. The diverse group had to be shuffled all over the place, but the big mountain skiers were my major concern as I had to juggle making content, the schedule, and avalanche conditions. ^These fellas are pros though so it was a pleasure to work with them to achieve FHL's content goals for the team trip. 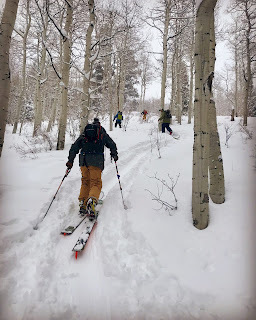 ^The storms raged on for most of the trip, and we did a lot of deep tree skiing all up and down the Wasatch. 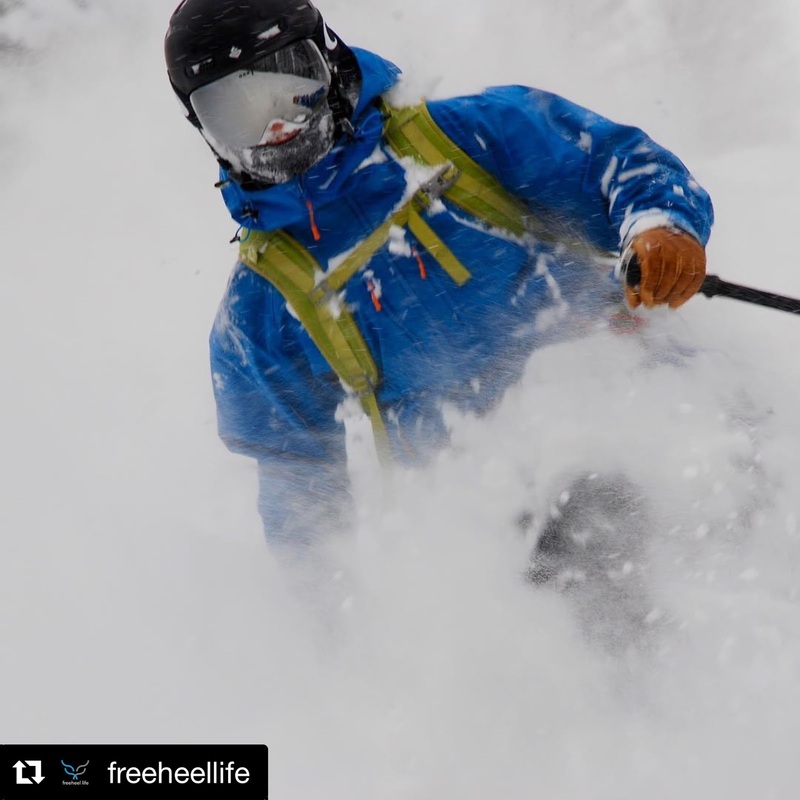 ^Erik Nordin displays some the fruits of our labor in this picture I reposted from FHL's social media. I had Bjorn Bauer as the principle photographer for the trip, but I also will ran a secondary camera as well to make the trip as efficient as possible. This pic is one of my shots of Erik Nordin blasting powder on one of our many storm days. 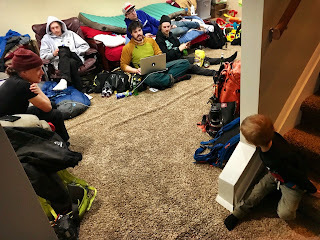 ^The fellas crashed in my basement for a couple nights of their trip during our northern Wasatch missions at Powder Mountain and Snowbasin. 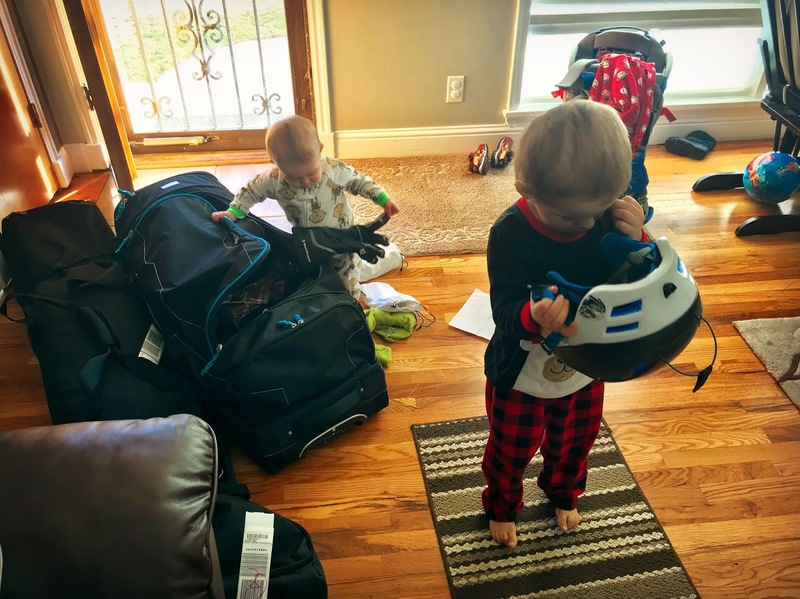 My son, Amos, was checking them out closely before going full bonkers on them once he warmed up to the smelly gang of telemark skiers. 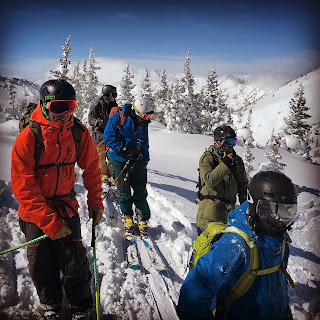 ^... and the fellas got to work at Powder Mountain. ^The storms soon settled right back in and in this pic above, Erik is stoked in front of Snowbasin's famous base area moose statue. 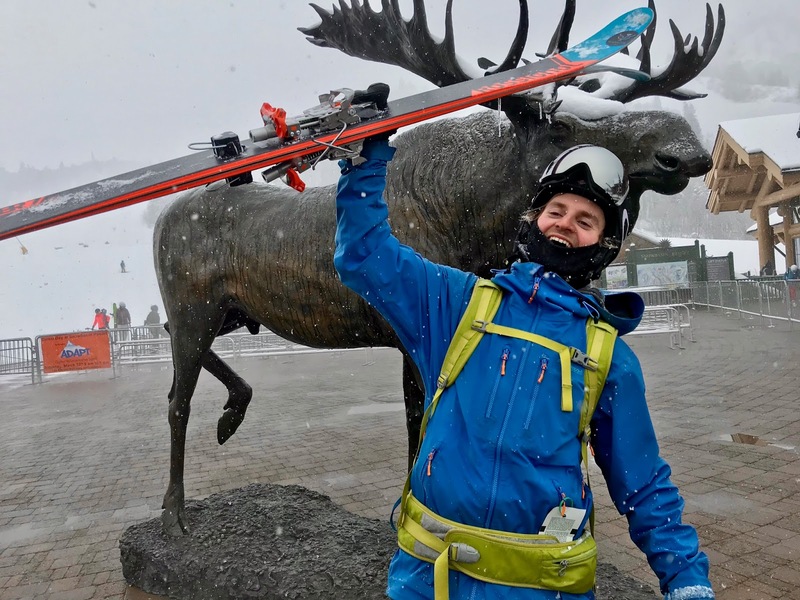 ^Bevan Waite pushing one of Snowbasin's peaks in the storm clouds. ^The crew warming up from the storm in one of Snowbasin's plush lodges in this pic above. 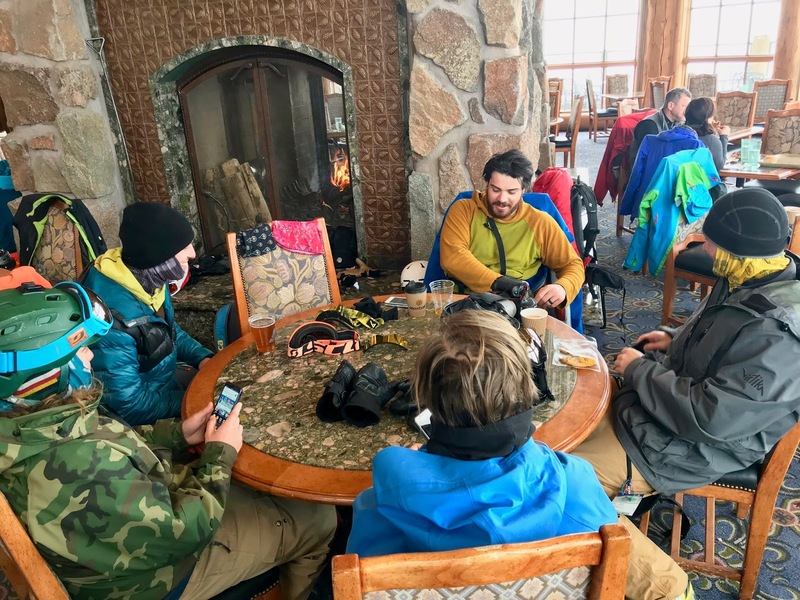 The amenities at Snowbasin are world-class and well above the standards of these dirt ball ski bums. These guys might not smell all that pro, but the content that comes out of their efforts says otherwise. I was pumped to show them around my Ogden stomping grounds. We moved back down south to the Salt Lake City mountains after that. 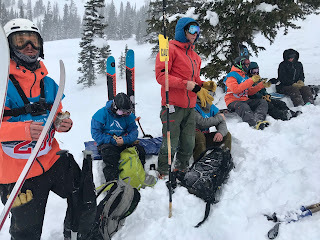 The clouds broke for us at Alta for one day as well, and we managed to make the best of another packed schedule. 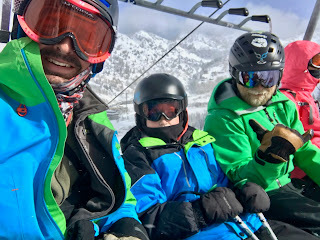 ^We pushed through canyon traffic and met up with a local FHL friend, Travis Bellantino, and his stoked new telemark skier son, Dylan. It is always cool to make a lap with stoked youngsters, and Dylan is a total stud. I was really glad we could make it happen. For the afternoon we re re-tooled the gear and shifted back out to the backcountry surrounding Alta. 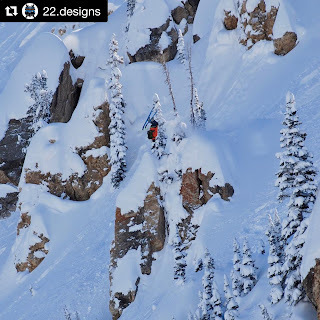 ^I took the fellas out to an Alta periphery classic and watched them tee'off on the variety of cliffs in the zone like it was Disneyland. 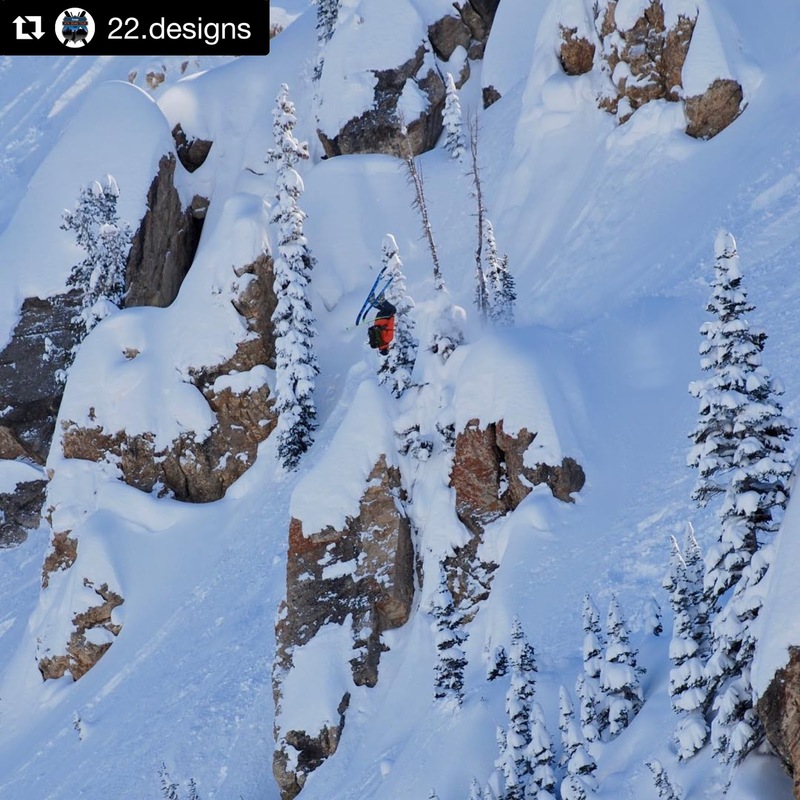 ^Bevan Waite is pictured above with a double backflip throw for like 50 feet of air time! The crew was sending some big hits, and I was pretty impressed with the show. There was a time that I would have been right up in the mix going huge with them. I'd be lying if I said there was not a part of me that wanted to, but the more rational fatherly nature I have acquired in recent years speaks pretty loud and clear in my mind these days. I opted to just watch the show and be ready to help if a miscalculation arose. 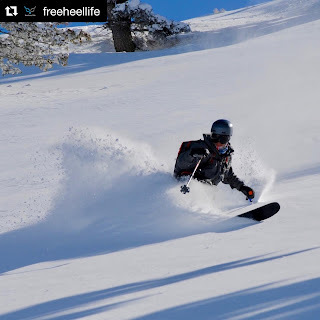 Still humming from the second-hand adrenaline from the FHL crew I drove up to Grand Targhee to help run the Freeheel Life Cup and World Telemark Day celebration there. 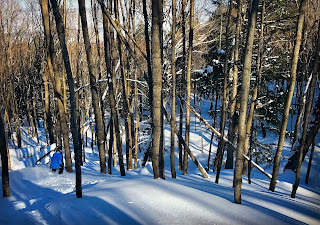 This is always one of my favorite weekends of the winter. 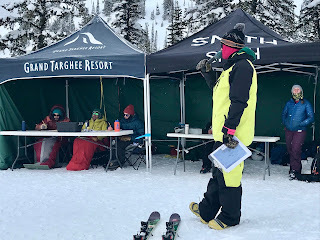 The organizing is a lot of work, and the high-flying lines from the athletes make me more nervous these days, but I still love the community of people that love doing these comps. 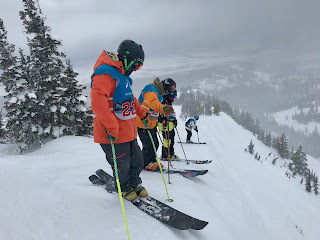 ^The staff of judges, the MC, and everyone at Grand Targhee are great friends of mine by now and I always enjoy my time working with them as well. ^I love these athletes too. A lot of these folks are my good friends by now. I do still enjoy watching them get after it in the venue at Grand Targhee. ^The camaraderie among the community of chargers that choose to come to these comps is also all part of why I have loved organizing comps. My nerves may be shot by the end of the weekend, but my heart is always full as I drive back south to Utah. After the Grand Targhee comp the rest of the month of March was scheduled just for guiding in the Wasatch and exploring some new terrain for that work. I had a really great couple from London as soon as I got home from Grand Targhee. 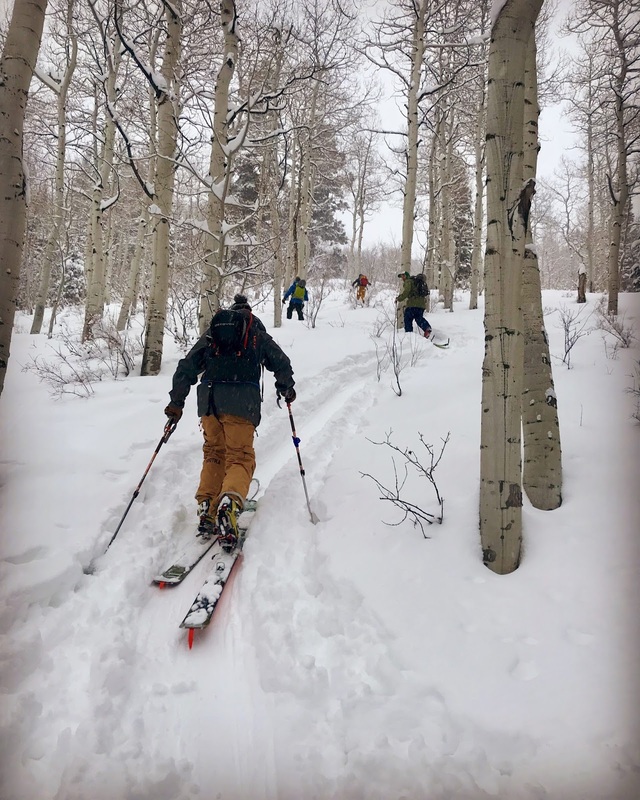 ^I was happy to be able to show these Londoners some new backcountry skills and also give them a little taste of what the Wasatch has to offer. The avalanche problems were still pretty significant, but the terrain we were looking for was more of a thin snowpack issue then as much of an avalanche issue. 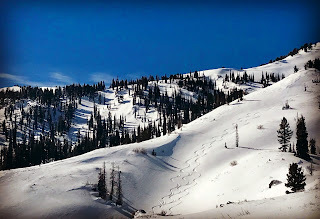 I had to find a balance between quite a few factors that the low snowpack in Utah was lining up against. We got it all dialed in together and had some wonderful backcountry ski days for their trip. 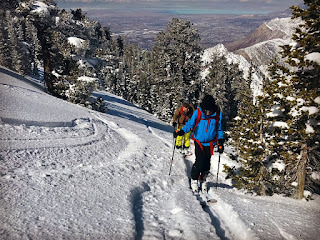 I am happy to have some new friends across the pond, and I hope to show them some more of the backcountry around Ogden in the future. There was so much more I wish I could've showed them if the snowpack had been more cooperative. ^I get plenty of folks communicating with me on the internet. I enjoy doling out my opinions and whatever wisdom I can to inquiring people reaching out. I try to do it as best I can. 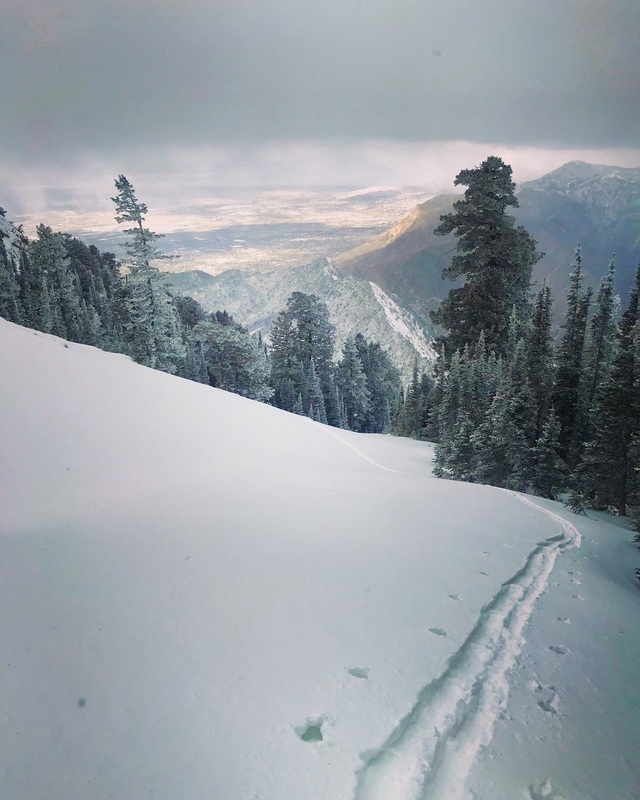 A women who met a friend of mine, had a son in Colorado getting stoked on backcountry skiing, and my friend referred her to me, and on and on how the whole 6 degrees of hometowns go. After a few years of internet acquaintance interaction, that women's son, Andrew, and I finally had an opportunity to have our paths cross. He was visiting friends in SLC and hit me up for a tour. 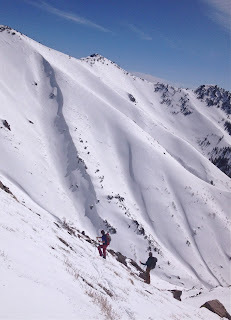 I had to go scout some terrain for a guided trip the following day, so I offered Andrew and invitation to join me. He actually came up from SLC and I was pumped to show him a little slice of the Ogden backcountry. I got a chance to do my scout, he asked a lot of questions, and we both seemingly sparked a new "real-life" friendship. I love that. Skiing has given me some of the best friends of my life, and I was pretty happy for another one. All this running around, all this travel, and all these logistics. It can all get overwhelming at times, and often I tell myself I need to slow it down. However, it is the friendships, new and old, and the family ties that always keep me going so fast to try to make it all happen within the madness of all the moments stacking up on top of each other. I don't know how long I can keep up the pace, or if it is even possible, but I really do love all of it, all of them, and often still wish I could do more despite my exhaustion.